Invitations to order the Model 3 had been going out in waves based on when customers placed their reservation. SAN FRANCISCO -- Tesla Inc. has invited all Model 3 reservation holders in the U.S. and Canada to confirm their orders. That’s welcome news for customers, many of whom placed $1,000 deposits to reserve the electric sedan in the spring of 2016 -- and have been fretting about which colour to choose ever since. That deposit is C$1,000 in Canada and US$1,000 in the United States. It’s even more welcome for Tesla’s balance sheet. When a customer confirms their order, they pay another $2,500 before the company begins building their car. Say, for example, 100,000 people in the U.S. and Canada were to confirm this week. That would be a $250 million injection of much-needed cash in the final, frantic days of a critical quarter. Tesla doesn’t break down reservations by region, and hasn’t disclosed a reservation number recently. The raw number of reservations is constantly in flux as some people cancel and others reserve for the first time, raising questions about demand and what the true backlog is. Invitations to order the Model 3 had been going out in waves based on when customers placed their reservation. Currently, customers can choose between the Model 3 Long Range Rear-Wheel Drive, Model 3 Long Range Dual Motor All-Wheel Drive, and Model 3 Performance. The base model with a cheaper battery -- which starts at US$35,000 -- isn’t yet available to order. 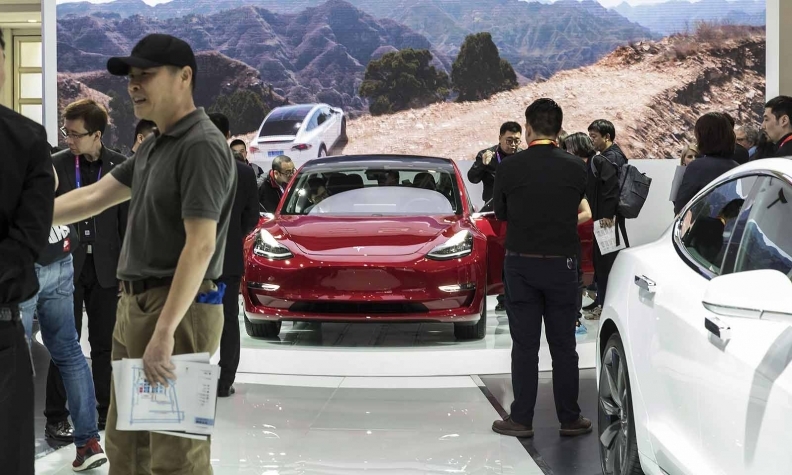 Customers who want the standard range battery can decide to order a higher-priced version of the car, continue to wait, or cancel their fully refundable reservation.With just a few days left in the second quarter, Tesla is racing to hit a production target of 5,000 Model 3s a week at its sole auto assembly plant in Fremont, Calif.
Bloomberg’s Model 3 tracker suggests the company is falling short of that goal, estimating a weekly production rate of about 3,400 of the sedans. CEO Elon Musk has been touting a hastily erected massive tent put up this month to house another assembly line for the sedan. Reuters, quoting plant workers, reported on Thursday that production is lagging behind Musk's goal. Tesla is expected to release production and delivery figures early next week.